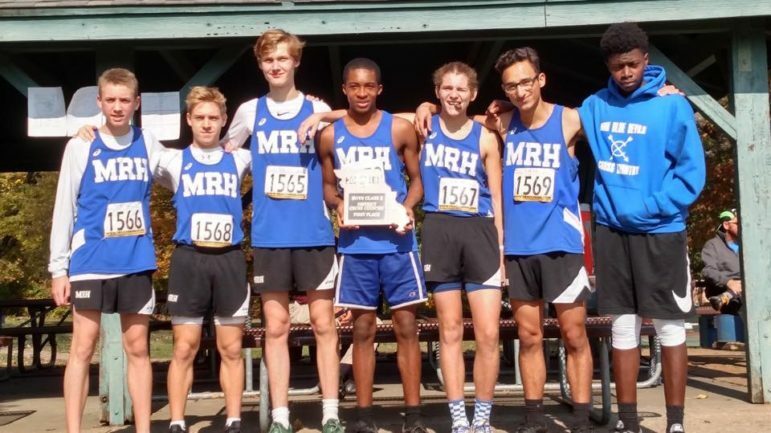 Maplewood Richmond Heights boys cross country team won first, with the girls finishing a “strong” third in their Class 2 district championship meet on Saturday. As a result the entire boys team will be going to the state meet. Two MRH girls qualified for State. Blue Devil Malik Stewart took second at State last year. Our Blue Devils Boys’ XC team made MRH history today, winning our first ever Cross Country District title! MRH won a close victory over 7-year reigning champion Whitfield. Malik Stewart, Josh Helle, Leo Salazar, Micah Grawer, Dominic Mancuso, Josh Clark, and Jacob Cummings will all be headed to Jefferson City next Saturday to compete in the State meet.